The Qizilbash are bilingual Persian and Turkic-speaking Azerbaijani background, united in their belief in Twelver Shia Islam. Kizilbash are Azeri Turks tribes mainly from Anatolia and Azerbaijan. The main different between Qizilbash Oghuz tribes and other Turkic people is that they are Shia Turkic people. Therefore the name Qizilbash is usually applied to them only. Some of these tribes in Afghanistan were subdivided in clans included the Afshar, Bayat, Shahseven, Ansarlu, Shaaghasi, Shamlu and Javanshir or Jawansher. 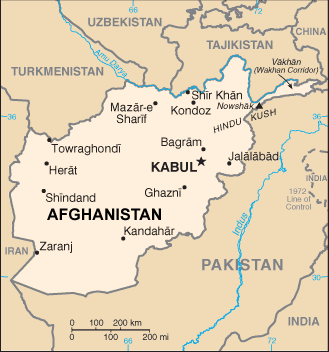 Qizilbash in Afghanistan live in urban areas, such as Kabul, Herat, Logar, Kandahar or Mazar, as well as in certain villages in central Afghanistan. They are descendants of the troops left behind by Nadir Shah Afshar during his "Indian campaign" in 1738. Afghanistan's Qizilbash held important posts in government offices in the past, and today engage in trade or are craftsmen. 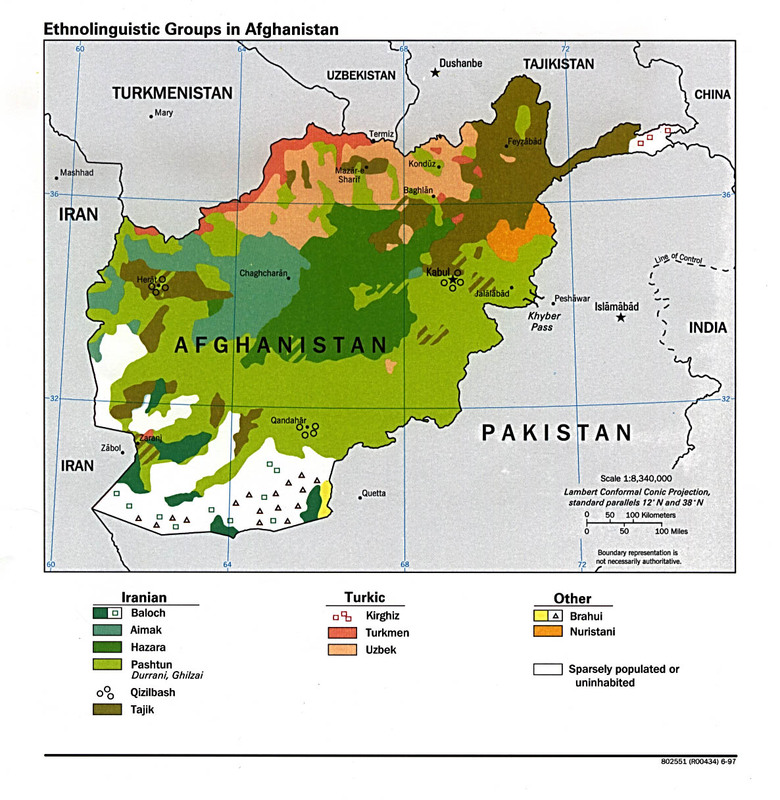 Since the creation of Afghanistan, they constitute an important and politically influential element of society. Bayat clan: Bayat is the name of an originally Turkic clan in Iran which traces its origin to the 12th century. The first location of the Bayat clan was the city of Nishapur in the south of Khorasan, a state in the north-east of Iran. The Bayat clan moved in the 16th century to three different locations after attacks by Mongol forces. The Bayat clan made war with the Mongols, killing Genghis Khan's son-in-law with his army. Then Khan attacked Nishapur with all his forces, killing many Bayat clansmen, and the rest of the Bayat clan escaped to the mountains around Nishapur. From there, one group went east and north-east, so that the surname Bayat is still found in Afghanistan. A second group went south-west towards Isfahan, and the surname Bayat is prominent in Arak, Hamedan, Malayer, Isfahan and Shiraz. The third group went north-west, and in Azerbaijan they divided in two; one part of the group took the north way as far as Turkey, and second part went west into Iraq, Syria and Lebanon. Bayat was the name of one the 24 Oghuz Turkish clans purported to descend from Oghuz Khaqan according to Oghuzname and the oral legends prior to that book's writing in early 14th century. In Afghanistan, the clan is known to have included those who originally immigrated into the country with Nader Shah Afshar. Bayat is a common surname today in Afghanistan, Iran, and Azerbaijan and to a lesser extent in Turkey and Turkmenistan where it carries the meaning "Knight" or "Chevalier". Ansarlu clan: Ansarlu or Ansaroglu are Azerbaijani Turkish tribe and a part of Qizilbash people in Afghanistan. It is a branch of Bayat clan. The name of one Oghuz Turkish clans purported to descend from Oghuz Khaqan. They are living in Kala Fatullah, Kala sadulah Wazirabad village in Kabul. In Afghanistan the clan is known to have included those who originally immigrated into the country with Nader Shah Afshar. Afshar clan: Afshars are a branch of the Turkic Oghuz groups. These originally nomadic Oghuz tribes moved from Central Asia through Iran and finally most of them settled in Anatolia. The Afshar tribes of Iran are two distinct Turkic-speaking ethnic groups. The larger group is concentrated in the north of the country, and the smaller in the south. The Turkic dialect spoken by the Afshar of the north is closely related to the Azeri language, while the dialect spoken by the southern Afshar is more closely related to the Qashqai language. Many Afshari are living in Iran, Turkey and Afghanistan. Anatolian afshars Avshar Turkomans shared the same history with other Oghuz tribes until entering the Anatolia. Until the 10th century, they are believed to have lived along the banks of the Syr Darya (Seyhun) river and on the northern steppes of the river. Beginning from the 9th century, they started migrating towards west. Avshars are believed to have entered Anatolia after the Battle of Manzikert in 1071. They settled in various places in Anatolia. During the Mongol invasion in the following period, some Avshar tribes migrated to Syria and later formed what was called Halep Turkomans, which eventually migrated back to Anatolia and settled there. Shamlu clan: The Shamlu Tribe is one of the 7 original and the most powerful Qizilbash Tribe of Turkoman origin in Iran. In Afghanistan they are mainly living in Kabul and Herat. Shahsevan and Shah Aghasi clans: They are a branch of the Turkic Oghuz groups located primarily in Iran and in the territory of the present-day Republic of Azerbaijan and Afghanistan. In Iran, they are mainly living in Qom, Tehran, Qazvin and Zanjan. In Afghanistan they are mainly living in Kabul. 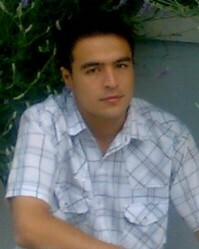 The name shahsevan means adherents of the king. The Kizilbash adhered to heterodox Shi'a doctrines encouraged by early Safawiyyah sheikhs, specifically sheikh Haydar and his son, Isma'il. They regarded their rulers as divine figures, and would thus be classified as ghulat extremist by orthodox Ithnaashari Shias. * Pray for a clear presentation of the gospel message among the Qizilbash. * Pray that God will raise up laborers who are willing to reach the Qizilbash for Christ, no matter what the cost. * Pray that strong local churches will be planted among the Qizilbash people.View Qizilbash in all countries.